밥상을 통해 한국의 식문화를 다시 바라본다. 밥상이 가지고 있는 철학, 잊고 있었을지도 모를 음식을 대하는 마음가짐. ‘Bob-sang’ refers to dining table layout. It refers to our daily meals, but with a broader meaning in cultural context. 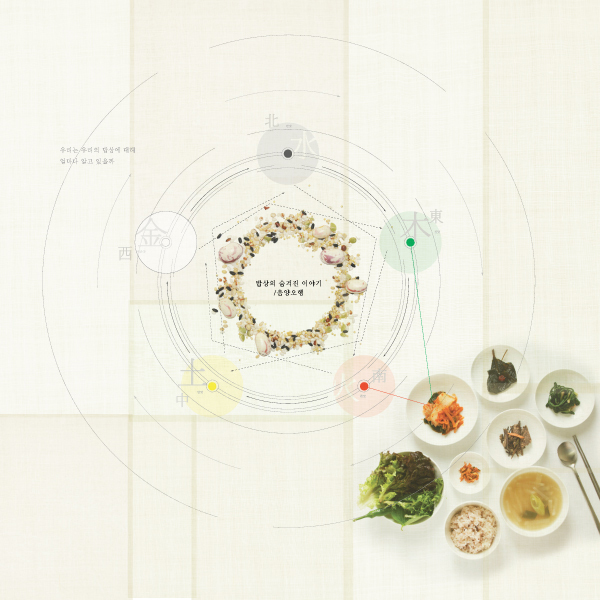 It reflects the Korean philosophy underlying in our daily lives.